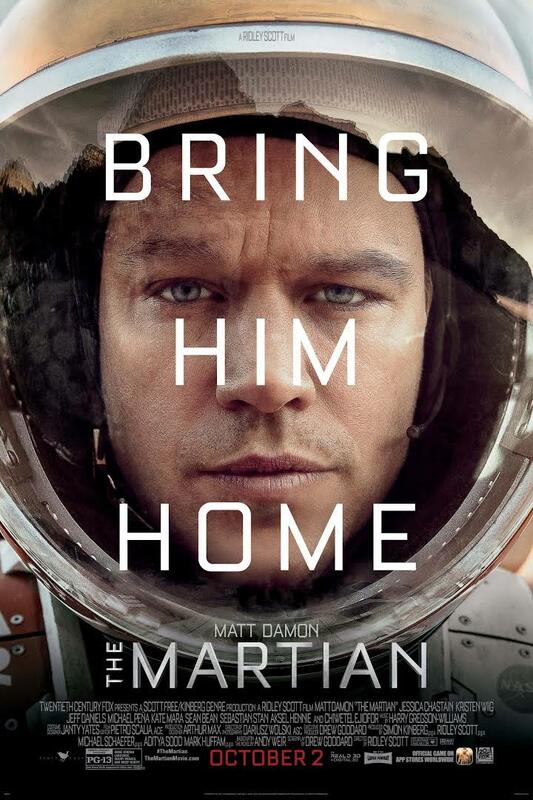 Let me first say that I did enjoy Ridley Scott’s rendition of Andy Weir’s The Martian. It was one of the rare ones that didn’t scream at my normally_rubbed-raw-by-incessant_incongruities senses. I don’t usually care about book or movie reviews beyond a mild curiosity, but this one on Slate.com practically demands a response for its absurdity. Dan Kois says “Andy Weir’s The Martian gets the science right but leaves out what matters most.” Really? Not seeing that. I found Mr. Kois’ review to be ridiculous on numerous points. He opens up his article with the comment that the film is “exciting and funny”. He says that one of the chief flaws of the book corrected in the movie was that the book had a “fanatic need to show its work“. Kois rightly observes that the movie “for the most part, zips along engagingly at a level similarly close to the surface”, but he’s right for the wrong reason. He likes that director Ridley Scott had “Matt Damon’s face, which in its expressiveness in moments of action connects us emotionally to Watney.” Among other observations, Kois mourns the book’s lack of “foreverness of our universe”, though acknowledges that the book was not aiming to convey that. 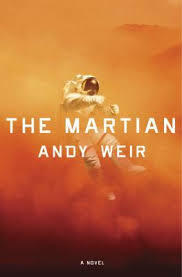 Finally, Kois bemoans that The Martian is “a novel about outer space that never gives even a moment to the concept of the infinite.” These are the nits I choose to pick. 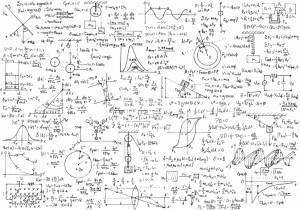 To his credit, Kois admits that just because he doesn’t like the calculations or seemingly endless problem solving, there isn’t a place for them, nor are the fans wrong. And yet, he still had a problem with Weir showing his work. I found them to be integral to the story, and appreciated Weir’s efforts to get things right. Kois says that “The Hab was intact (yay!) and the MAV was gone (boo! )” is not something someone would say, and claims that it reduces human emotion to “binary code”. He is right in that isn’t something someone would say, but he does not disclose that Watney did not say that – he thought it, which is more likely. I am confused as to how that can be construed to reduce human emotion, but Kois is entitled to his opinion. Taking that reduction further, Kois likens Wier’s Watney to a “stick figure”. I certainly did not see that either. And I might number among the minority, but the movie didn’t engage me to identify with the main character as much as the book did. Matt Damon is a skilled actor but the book was orders of magnitude superior – the screenplay and direction left Damon with little to work with. The rest of the cast are sadly, “stick figures”. Back to Weir’s calculations, they pretty much had to be left out of the movie. But in print, they kept me (awake and) engaged. Contrary to an implication I’m probably reading into Kois’ review, I thought the calculations made the book more human, more exciting, and more accessible. Without them, Scott’s product delivers flat, shallow characters with no stories, and presents a superficial treatment riding “close to the surface”. I agree with Kois on that, but obviously not for the reasons he implies. As to a concept of the infinite, the movie fails miserably where the novel succeeds. Not exactly “infinite”, but those pesky calculations convey the magnitude of the distance to be traveled to the Ares 4 landing site, the impact of food shortage, well…a whole freaking lot. The movie never conveyed (unless when I was dozing) the issue of caloric deprivation that those calculations provided and the dire circumstances of the travel to the other landing site. The movie is one of the best science fiction movies made. The book (impossible dust storm as a cliche plot device not withstanding) is, as usually is the case, much better. You can skim the best parts if you want and not miss out on the story. Ridley Scott did. And I’m guessing Dan Kois did. Goodreads goal for 2014: 100 books (again). So far, I’m WAY ahead of the pace with 86 – Goodreads says that’s 12 ahead of schedule. Recap: The way I’ve been recounting my book readings the past couple of years means overly long posts (100+ books with comments?). For 2014, I’ve decided to break up the year into quarters. Here’s my first three month summary of the 23 books I read, and my second quarter list numbering 31books. Below I list 32 more for the third quarter/summer. For some reason, this year I’m picking books that are quite long – again, what’s up with that? George Martin’s catastrophe was monstrously long for little value added, and Hostadter’s GEB, while long (and dense), was the opposite. I’ve rated 2 more as five-star (you-really-should-read-this) on Goodreads – and another was fiction! I gave 0 books a one-star rating (not-only-no-but-really-no)…but a couple came really close..
As before, I’ve linked all of my Goodreads reviews (even if only one line) to each title in case anyone is interested in what I thought beyond the commentary below. The review page links back to the Goodreads main page for the book. 100 books (again). So far, I’m ahead of the pace with 54. Recap: The way I’ve been recounting my book readings the past couple of years means overly long posts (100+ books with comments?). For 2014, I’ve decided to break up the year into quarters. My first three month summary of the 23 books I read tallied 23 books. Below I list 31 more. A few more of the books I read these three months were quite long – what’s up with that? Wallace’s Infinite Jest, Wolfram’s A New Kind of Science might pad the pages read stats, but the ROI was dismal. I’ve rated 4 as five-star (you-really-should-read-this) on Goodreads – and one was fiction! I gave 1 book a one-star rating (not-only-no-but-really-no)…the first of the year. I’ve linked all of my Goodreads reviews (even if only one line) to each title in case anyone is interested in what I thought beyond the commentary below. The review page links back to the Goodreads main page for the book.